One day into the second week of F1 pre-season testing and we’ve got our first row between drivers. 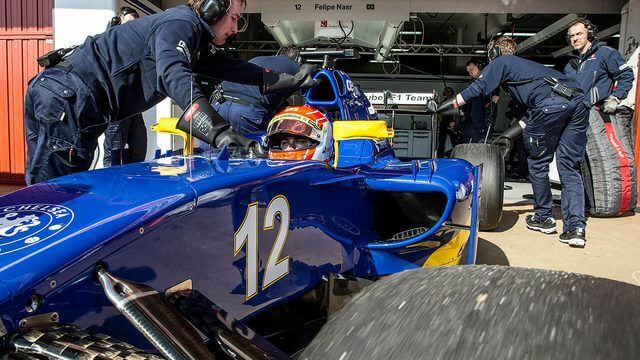 During the afternoon session at Barcelona, Felipe Nasr and Susie Wolff crashed, with both drivers ending up in the gravel trap and requiring a truck to come and rescue their stricken cars. There were more red flags during the day, with Pastor Maldonado causing two in the morning before going on to top the timesheets by the end of the day. McLaren’s tough times continued with Button completing just 21 laps before coming to a halt, and the parts required to patch up that Honda engine won’t arrive until Saturday.